Discover Alicante with all your senses: Its beaches, monuments and fantastic museums all form part of this city’s great appeal bathed by the Mediterranean Sea and renowned for being a dynamic city, with a warm climate, all so wonderfully Mediterranean. See our fleet of car hire in Alicante and enjoy your car hire with us. 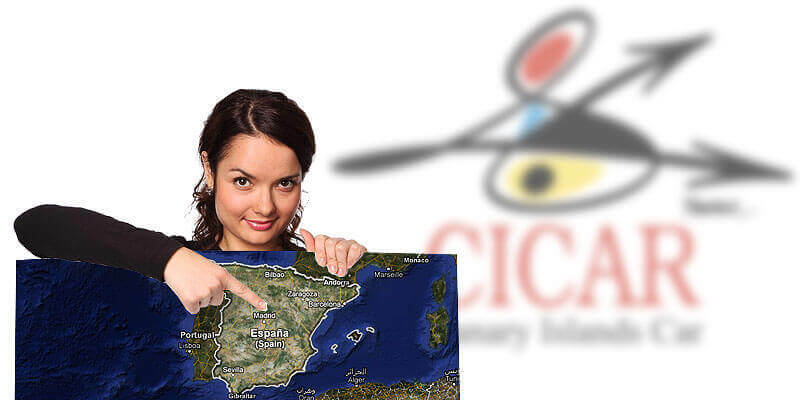 Enjoy the CICAR quality of service and satisfaction guarantee anywhere in Alicante. By renting a vehicle from Cicar, users will receive a audio guide of Alicante*, containing descriptions of places of tourist interest around Alicante. Your car hire company in Alicante and all the Canary Islands.